What’s Christmas without a little DIY to put some cheer in your holiday season? 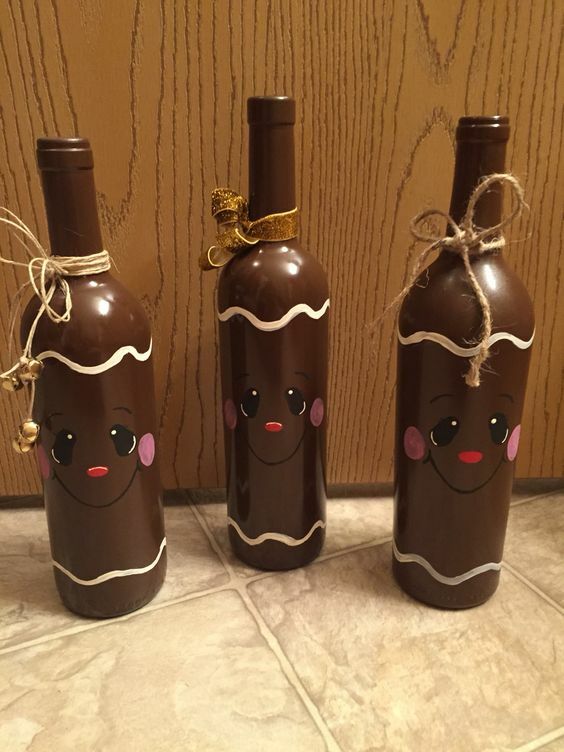 We’ve rounded up 10 Fabulous Christmas DIY Wine Bottles that you can actually make yourself! Easy. 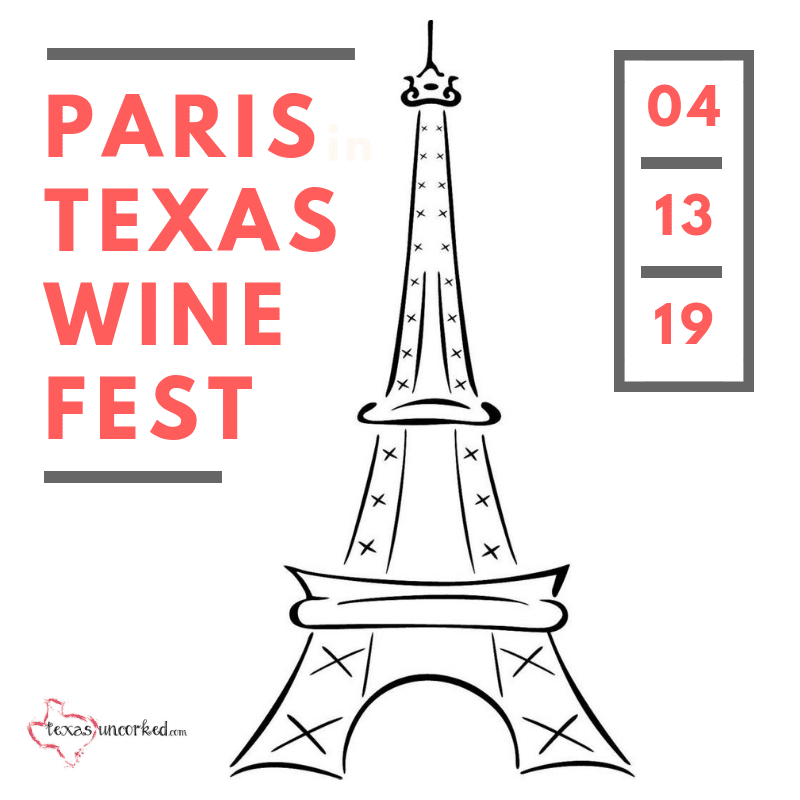 Down a few bottles of your favorite Texas wine. Peel off the label. (We find rubbing alcohol does the trick for stubborn labels) Stuff with your favorite el-cheapo Christmas lights from the Dollar Store. And, presto! Your boozy Christmas is well on its way to rockin! You’ve got to be slightly more resourceful with this one, but after sipping on three whole bottles of the good stuff, we imagine your Pinterest-worthy project will be an adventure of epic proportions. Grab some paint, felt, jingle bells, and twine, and go to town. Make it look like the pic, if you can! 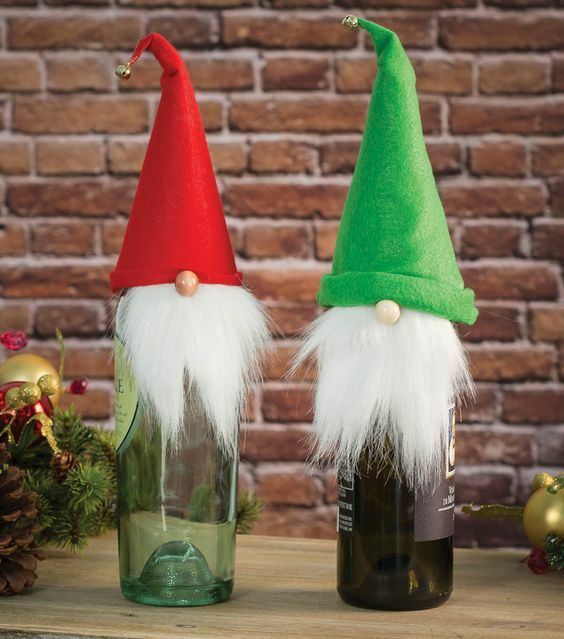 These cute little guys totally belong on your shelf this Christmas! 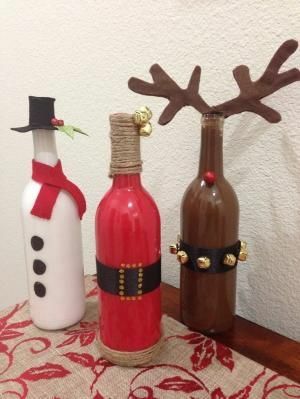 Grab a few quick supplies from the arts and crafts store and plop them on top of your favorite empty wine bottles for decoration. Pro tip: Don’t burn yourself with the hot glue gun. You’re welcome. These have to be our faves! They’re super easy, too! 3 empty wine bottles (duh! 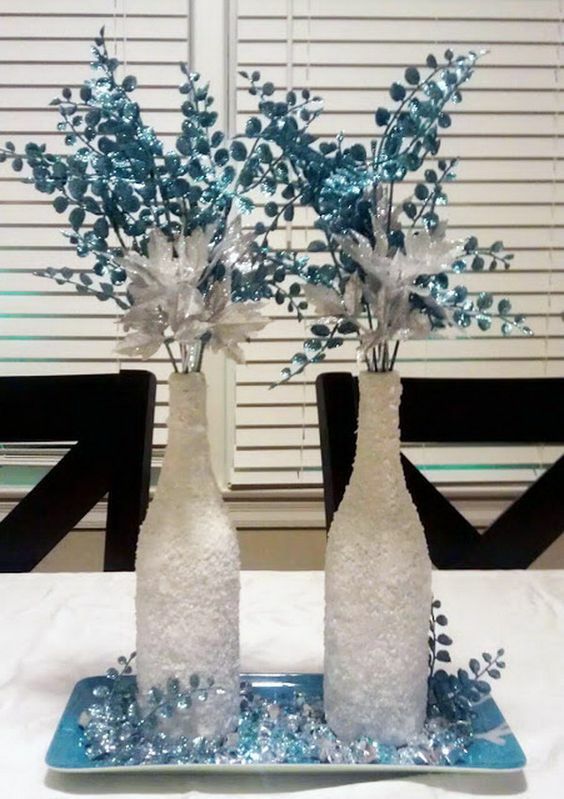 ), some white spray paint, epsom salt, and a few festive picks from the craft store. Sprinkle the epsom salt on while the paint is still wet so it’ll stick to the sides. Makes such an awesome center or mantle piece, people will call you Martha Stewart. Same as above. Add some blue stuff. Make it a winter wonderland. What an excuse to drink even more wine?! 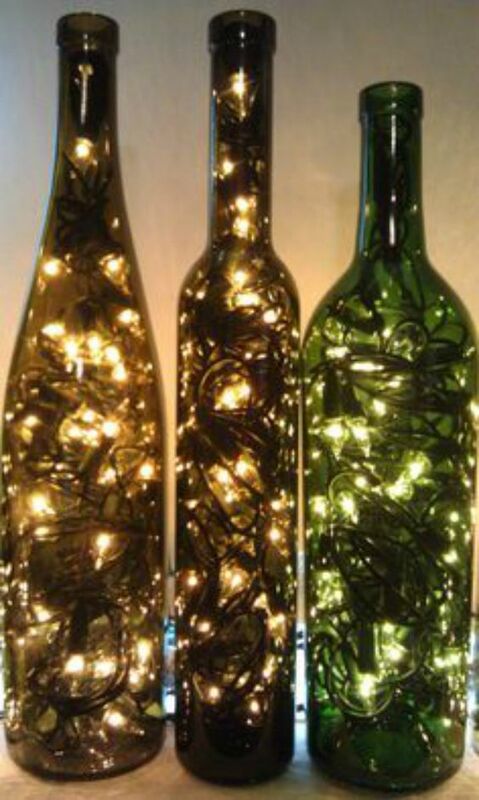 Empty those bottles like your little crafty heart depended on it and grab those paint brushes. You’ll need some brown, white, red, pink, and black paint. Make it look like the pic. Or not. 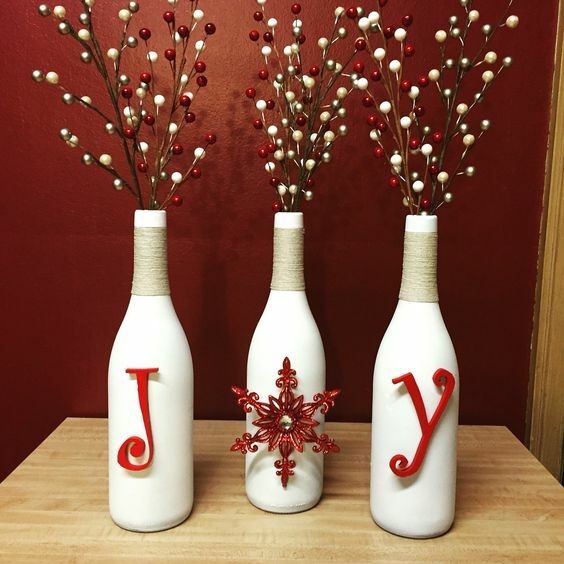 Empty bottles + White Paint + Festive Picks + Painted Letters + Twine = a winning Christmas Wine Bottle combination! Who are we kidding? These have been on our Pinterest DIY boards for many years. We think they’re so dang cute! 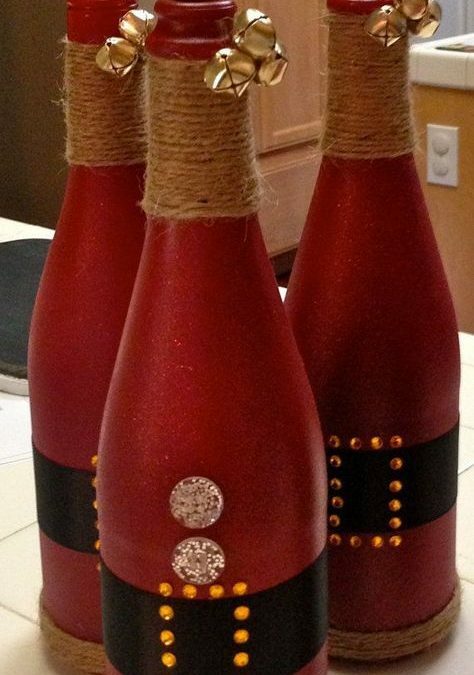 Spray paint those bottles with some red glitter paint that you won’t get out of your hair for at least a week. Paint a massive black line around the center for Santa’s belt. Grab some jewels and glue those things tightly. Add twine at the bottom and top as well as some jingle bells for good measure. 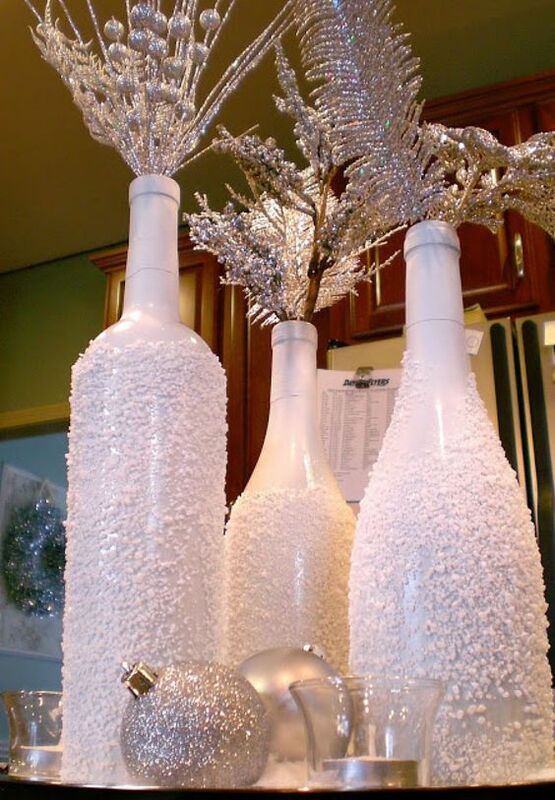 Spray paint those empty wine bottles white. 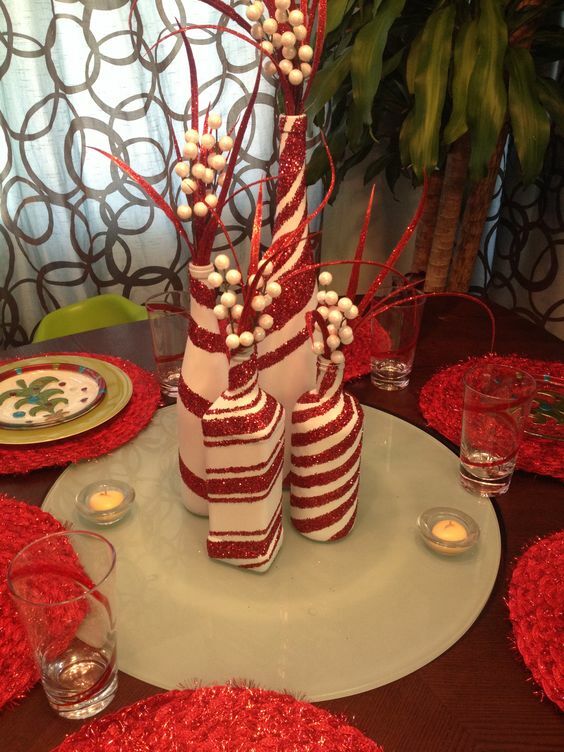 Then grab some glue and make some fun candy cane-like lines around the bottle. Roll it in red glitter. Top with your favorite Christmas Picks! This one is literally the easiest. Buy this wine bottle sweater. Put it on your wine bottle once the delivery man shows up. We hope you’ve enjoyed our DIY guide to some jingle-worthy crafts for the holiday season.